Lo realizziamo con diversi attacchi baionetta: Nikon *, Pentax; Contax-Yashica (manual focus); Vite 42x1; Leica R; Contarex; Olumpus OM Canon eos *. Attenzione nell'ordine specificare il tipo di innesto da spedire tra quelli qui indicati. 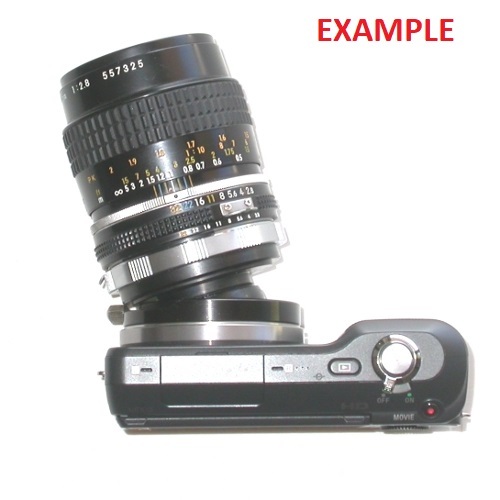 Special ring, tilting and 360 ° rotating plug with mount (Sony Nex) for cameras. 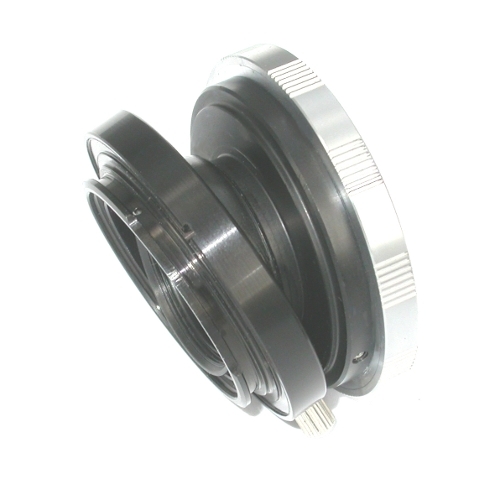 Can be inserted all the lens bayonet SLR SRL DSRL according to the type chosen. With this special connection you can control plans and prospects of focus, especially in macr0 photography. In parallel position keeps the focus at infinity. 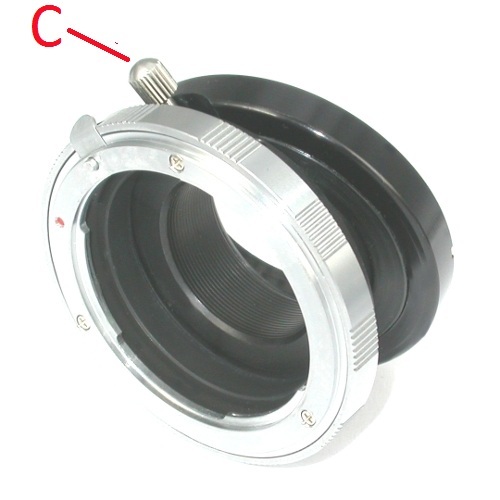 The orientation and its blocking position is achieved by the lever lock / unlock (C). The attacks realized with different bayonet * Nikon, Pentax, Contax-Yashica (manual focus); Screw 42X1; Leica R; Contarex; Olumpus OM Canon EOS *. Warning: in order to specify the type of graft to be sent from those listed here. 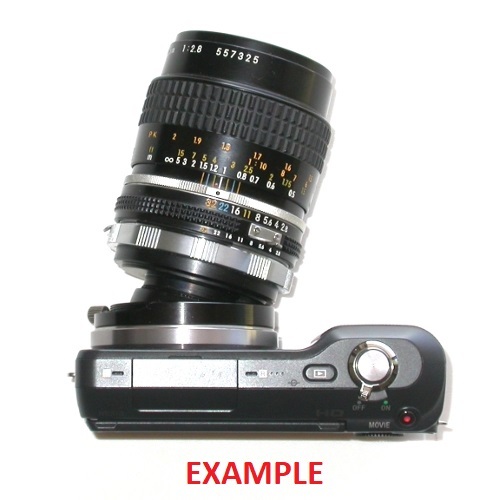 There are other types of adapters for cameras.